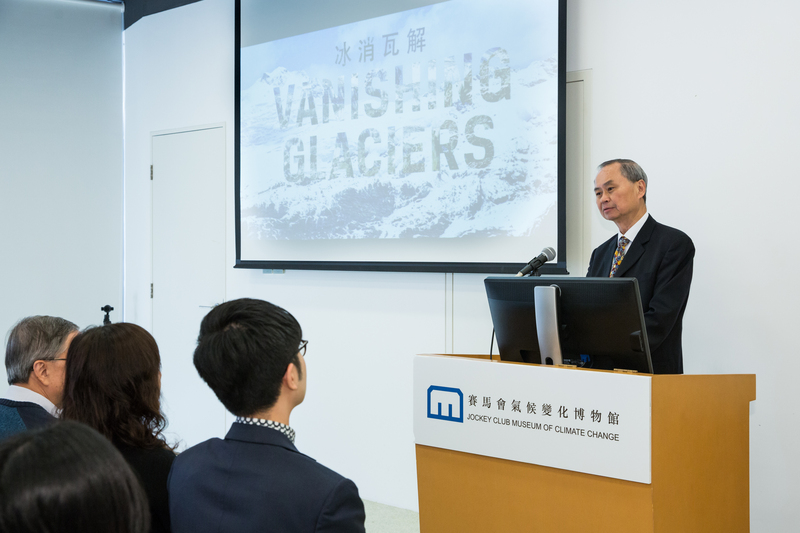 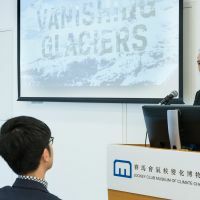 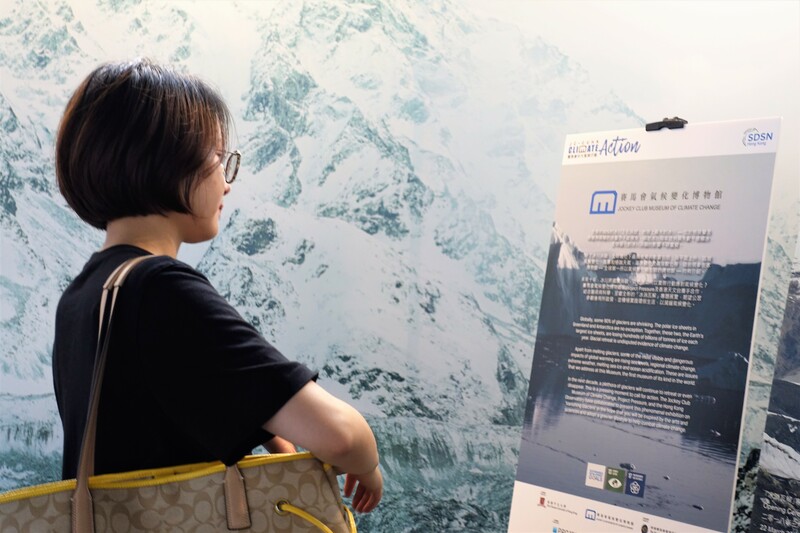 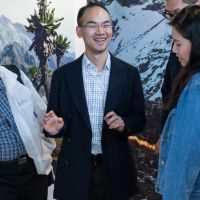 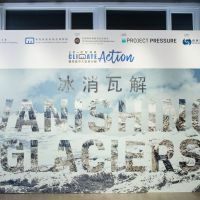 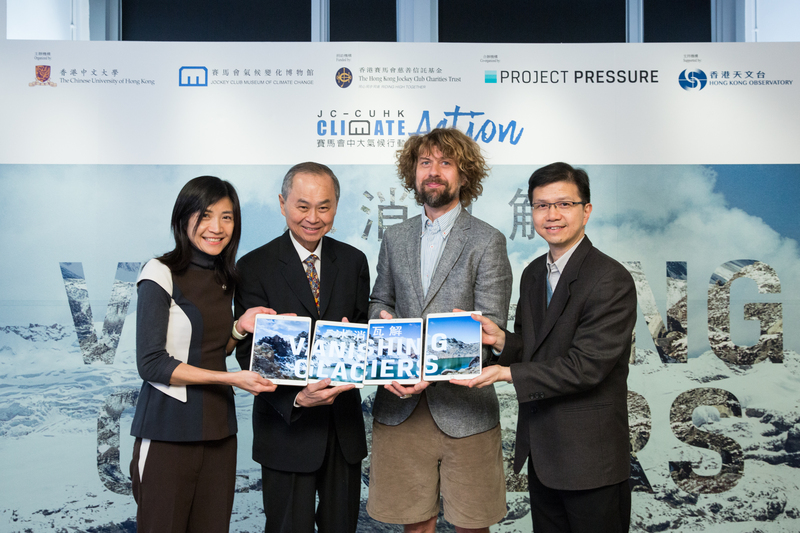 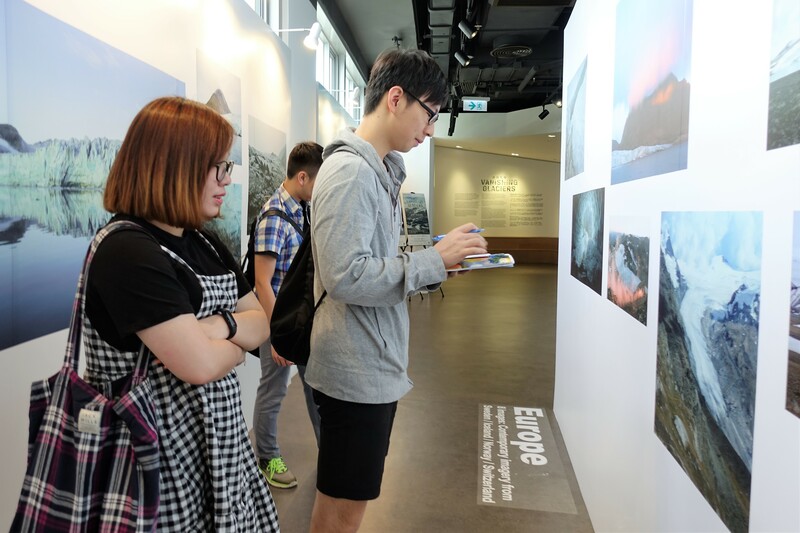 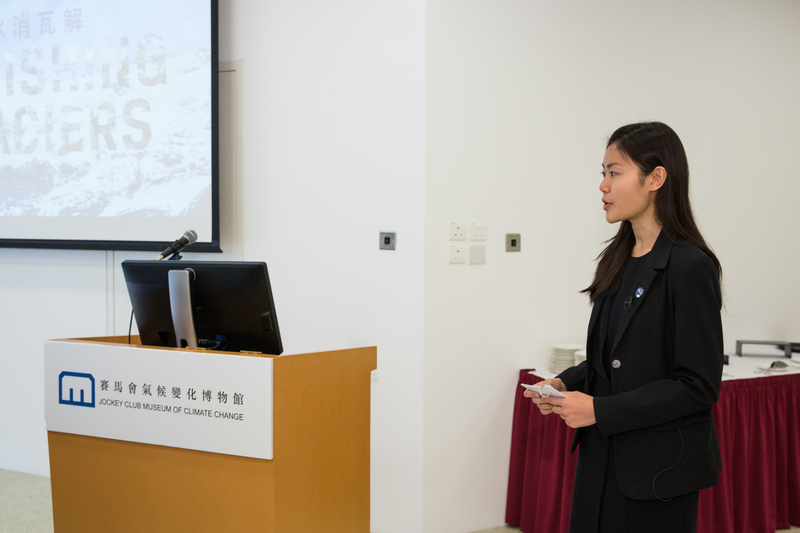 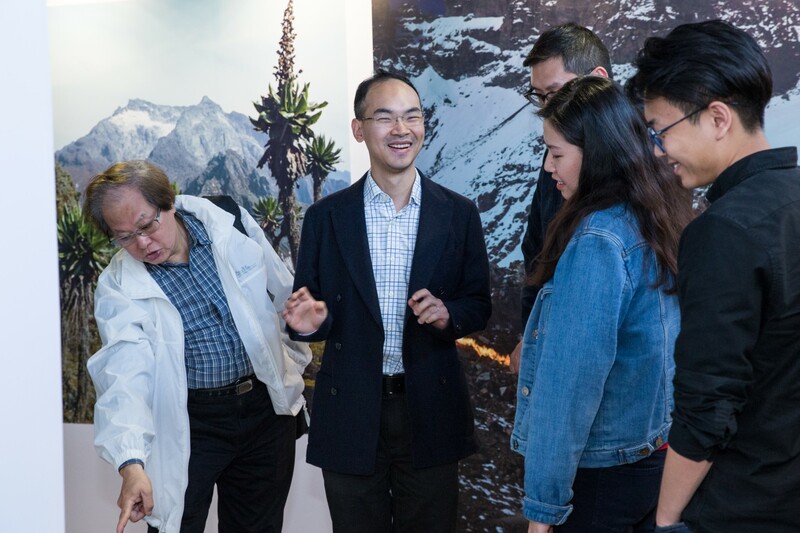 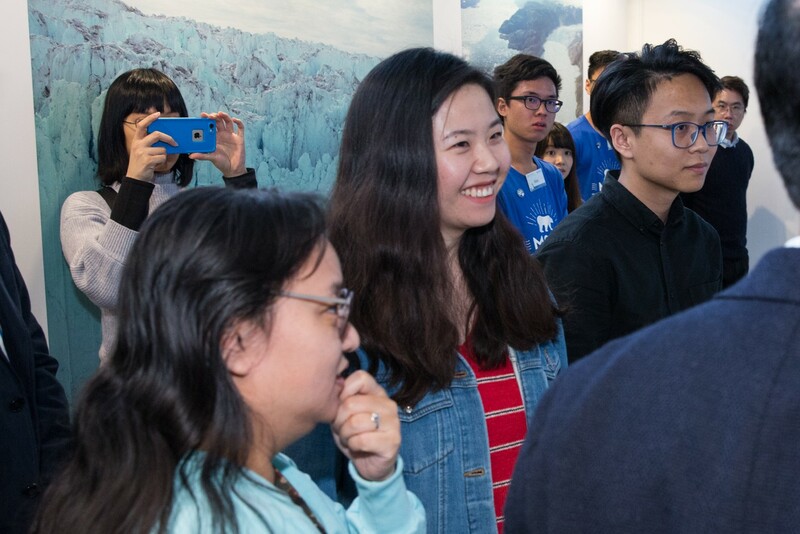 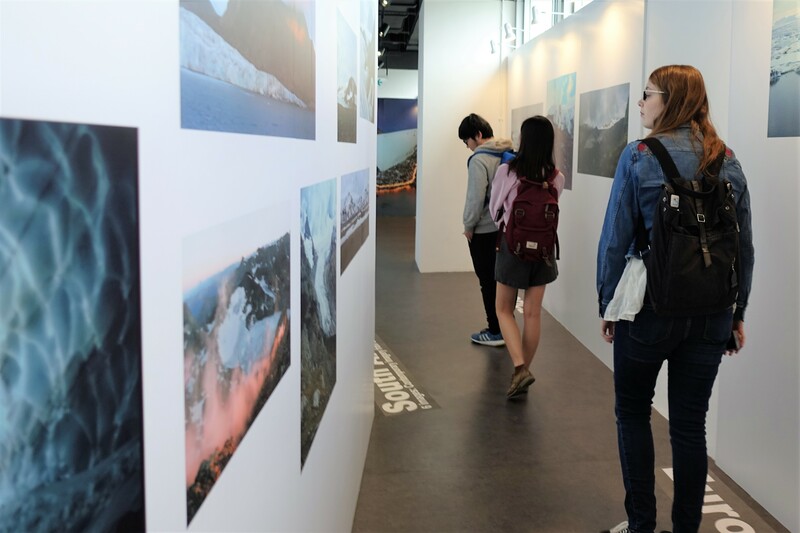 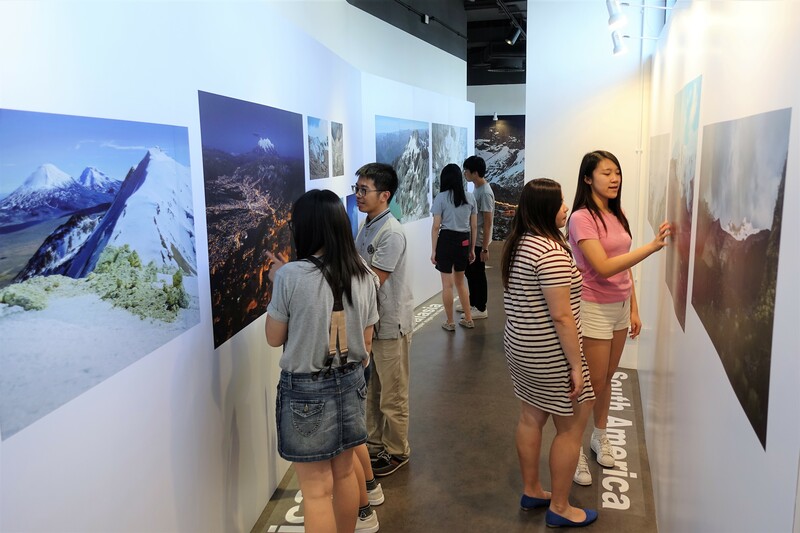 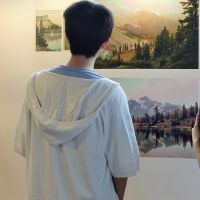 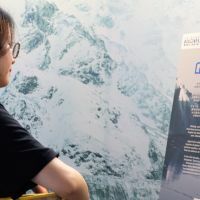 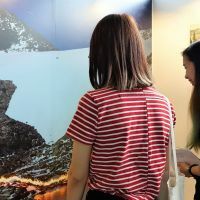 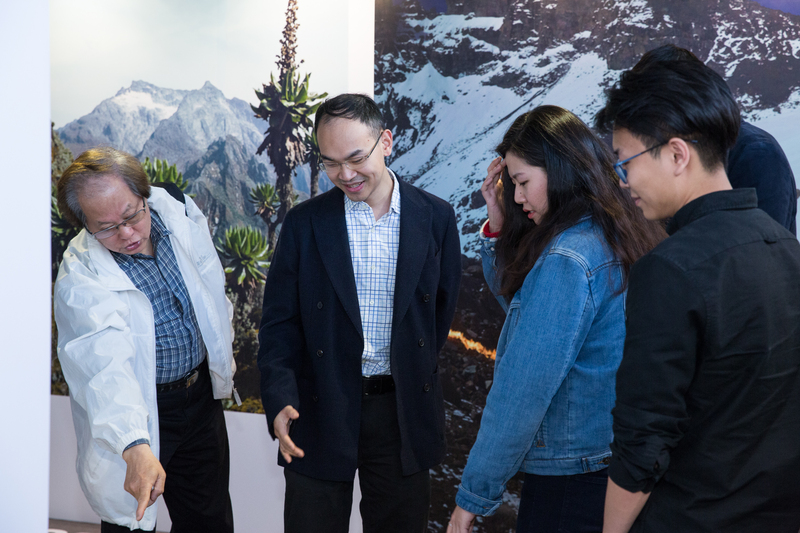 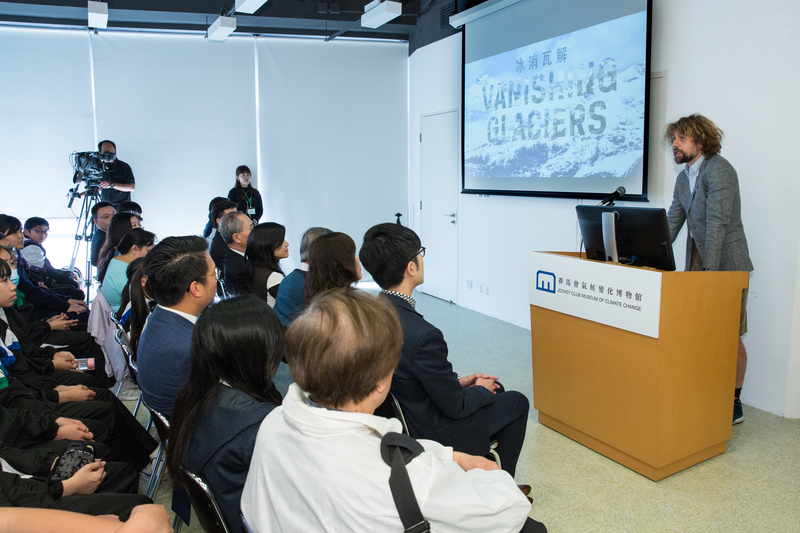 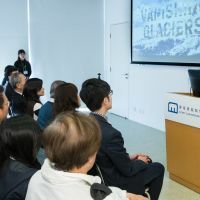 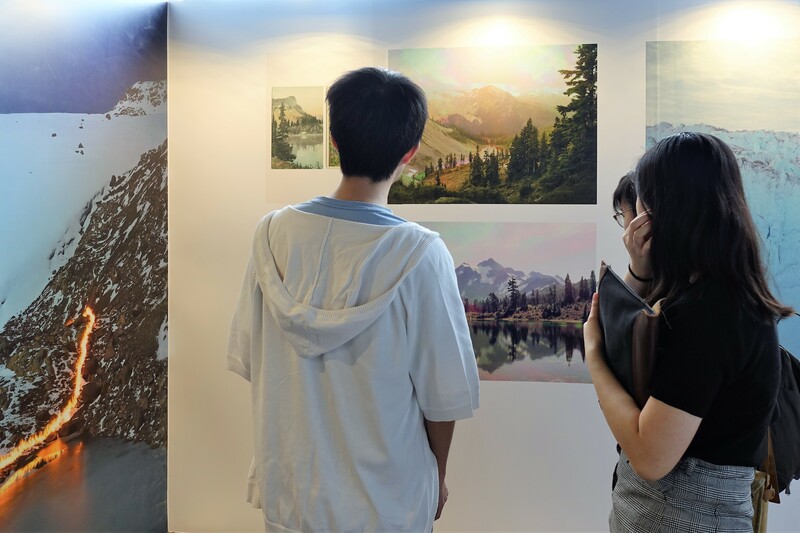 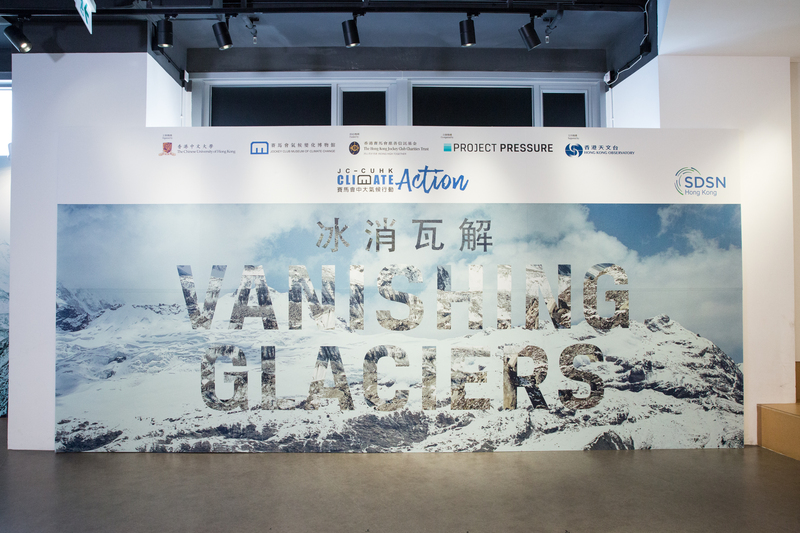 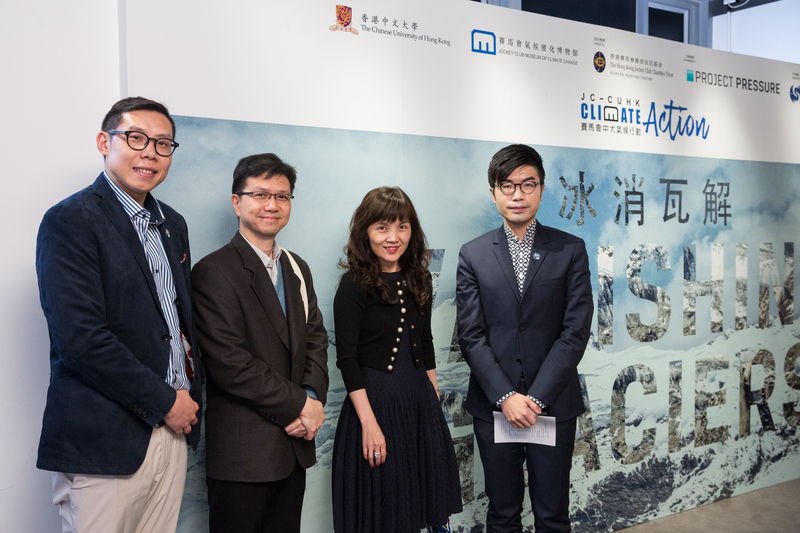 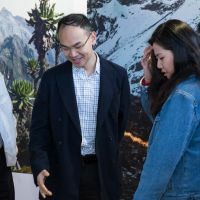 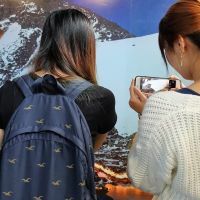 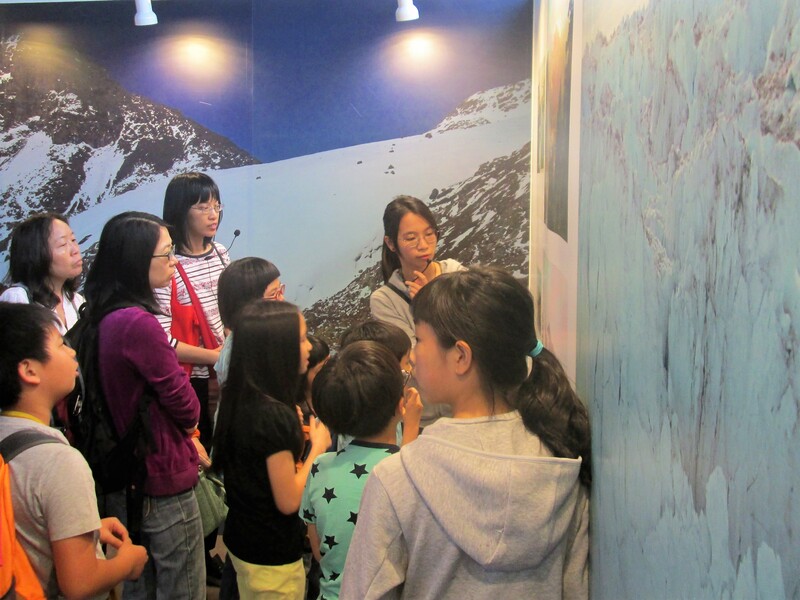 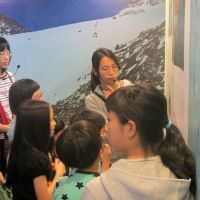 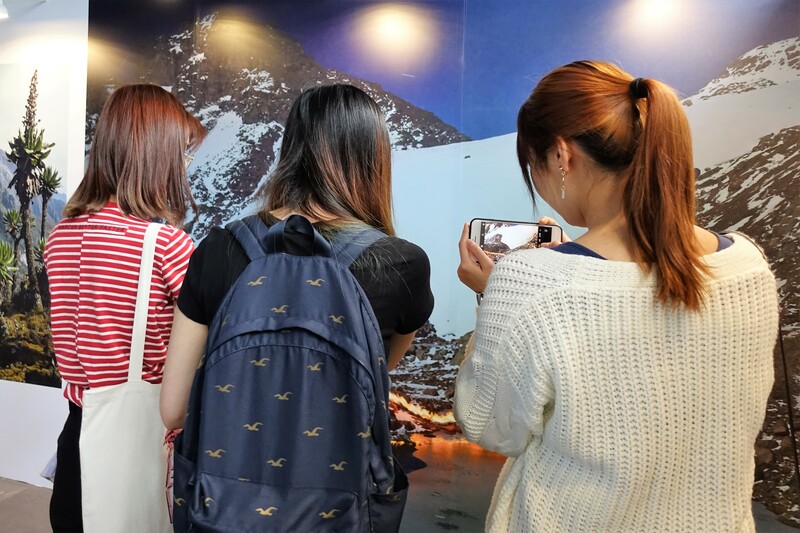 Jointly organised by the Jockey Club Museum of Climate Change (MoCC) of The Chinese University of Hong Kong (CUHK) and UK-based non-profit arts organisation Project Pressure, an exhibition on the theme ‘Vanishing Glaciers’, was launched on 22 March 2018. 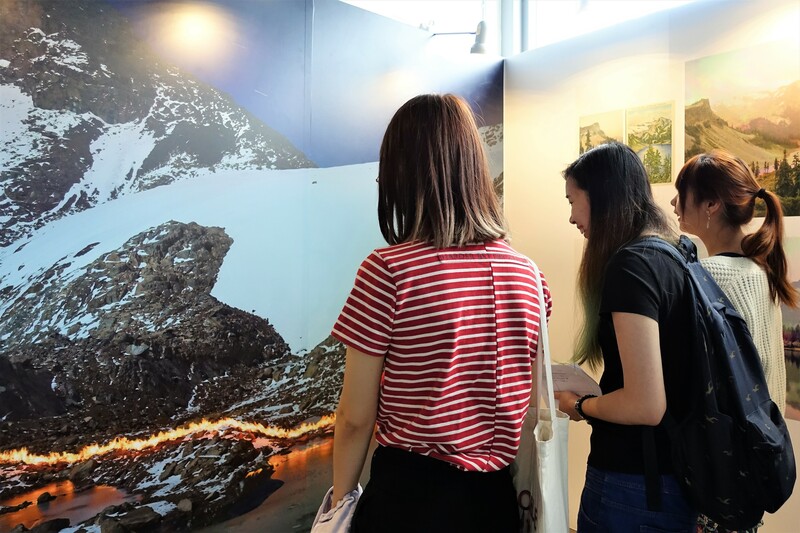 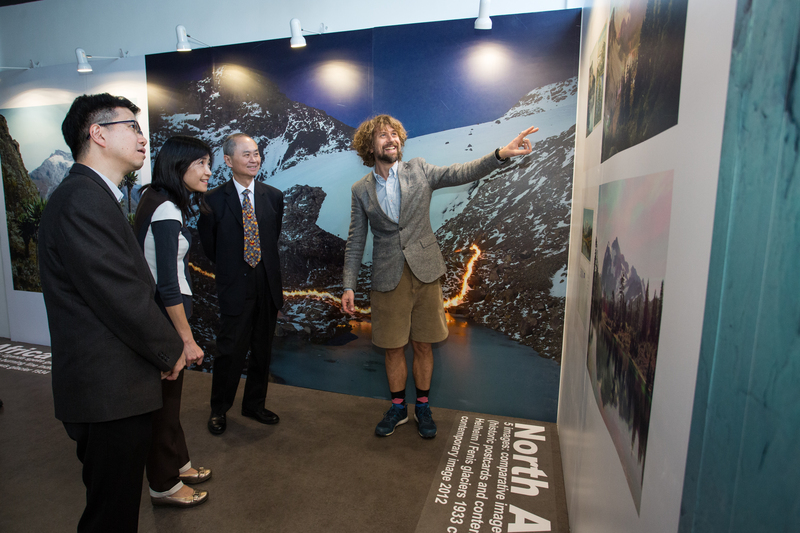 This exhibition is part of the ‘JC–CUHK Climate Action’ programme. 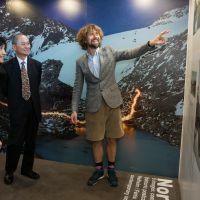 Bridging art and science, the exhibition presents a new way of showing comparative images from 1946, 1959, 1980 and 2017 of Sweden’s Tarfala Valley, using photogrammetry-created 3D models, with the aim of illustrating the impact of climate change on glacier melting and encouraging the public to take action to fight climate change. 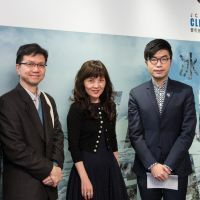 Officiating at the opening ceremony were Prof. Fok Tai-fai, Pro-Vice-Chancellor and Vice-President of CUHK, Ms Vivian Lee, Senior Charities Manager of The Hong Kong Jockey Club, Mr Klaus Thymann, Founder of Project Pressure, and Mr Lee Sai-ming, Senior Scientific Officer (Climate Forecast Services and Climate Change Studies) of the Hong Kong Observatory. 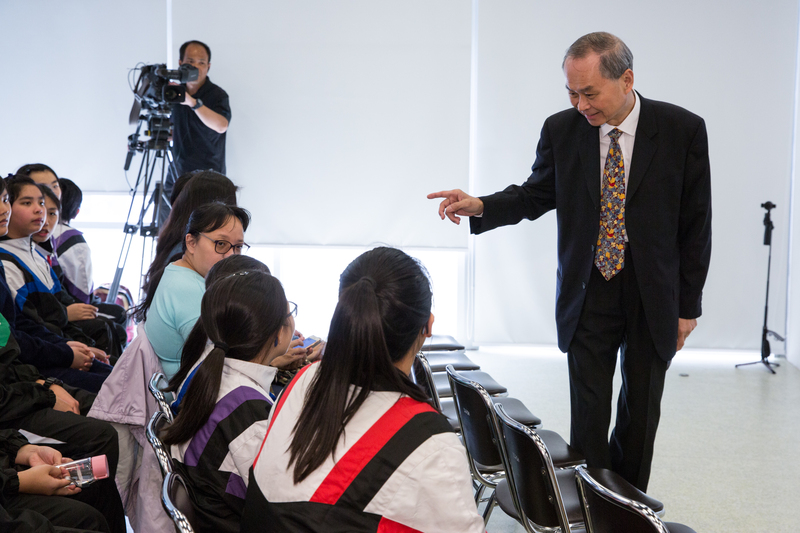 In his welcome address, Prof. Fok Tai-fai said, ‘CUHK is committed to promoting environmental awareness and to building a sustainable campus. 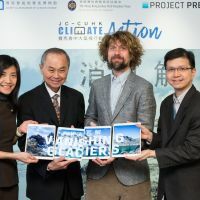 By organising this exhibition and a wide range of community education and outreach programmes, the MoCC endeavours to enhance public understanding of climate change and to encourage everyone to live a greener lifestyle.’ Prof. Fok expressed his heartfelt gratitude to The Hong Kong Jockey Club for its support for the MoCC and Project Pressure to jointly organise the ‘Vanishing Glaciers’ exhibition. 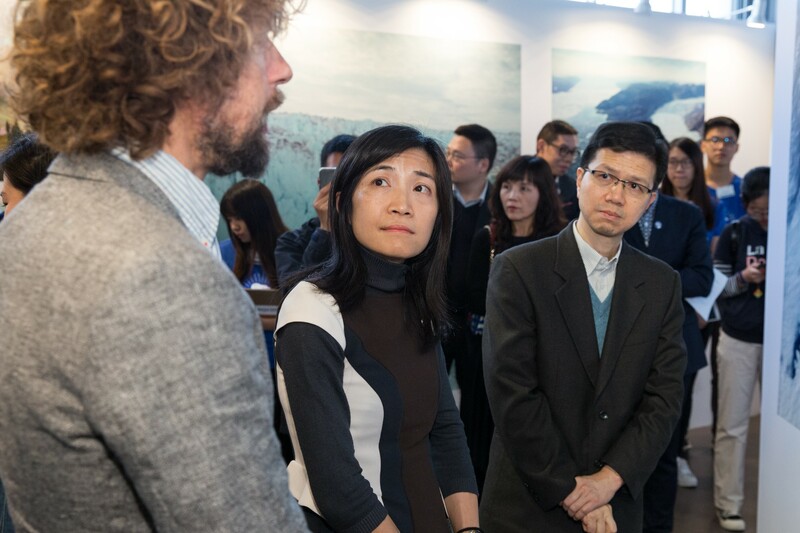 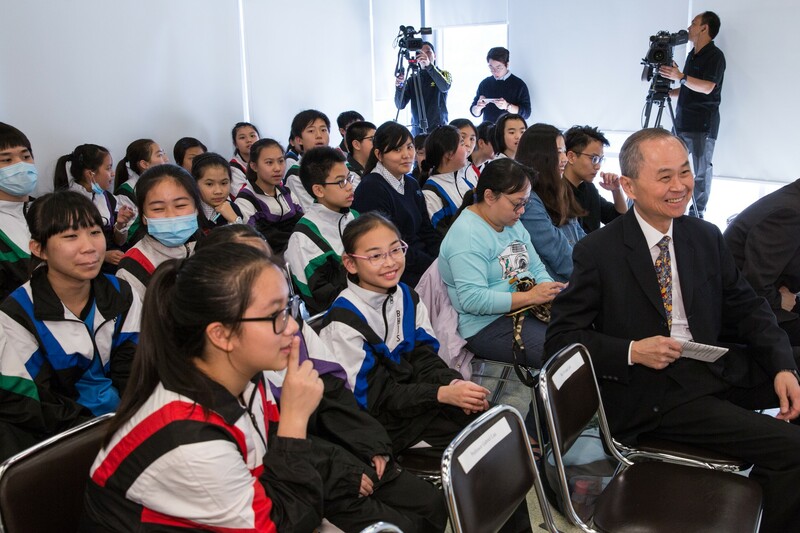 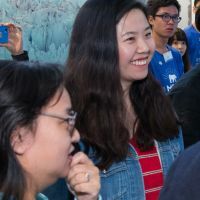 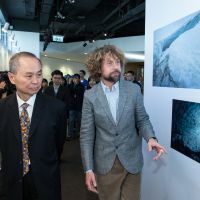 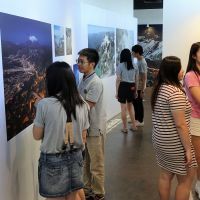 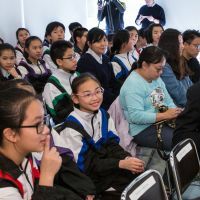 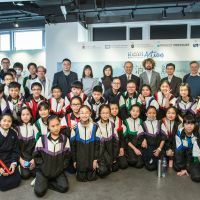 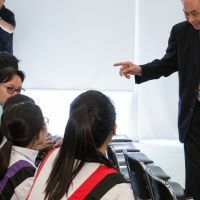 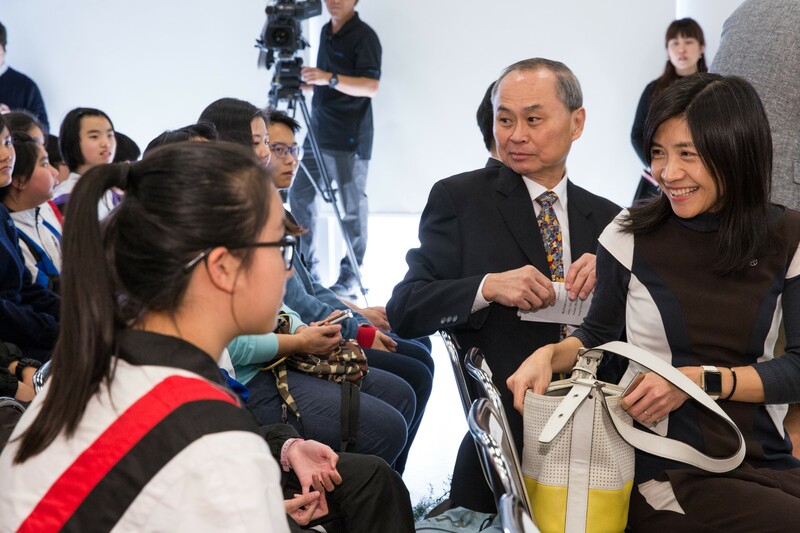 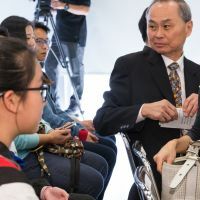 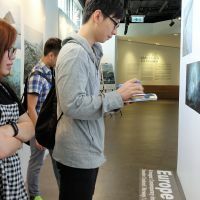 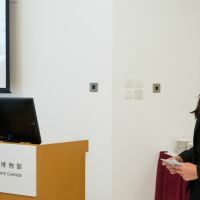 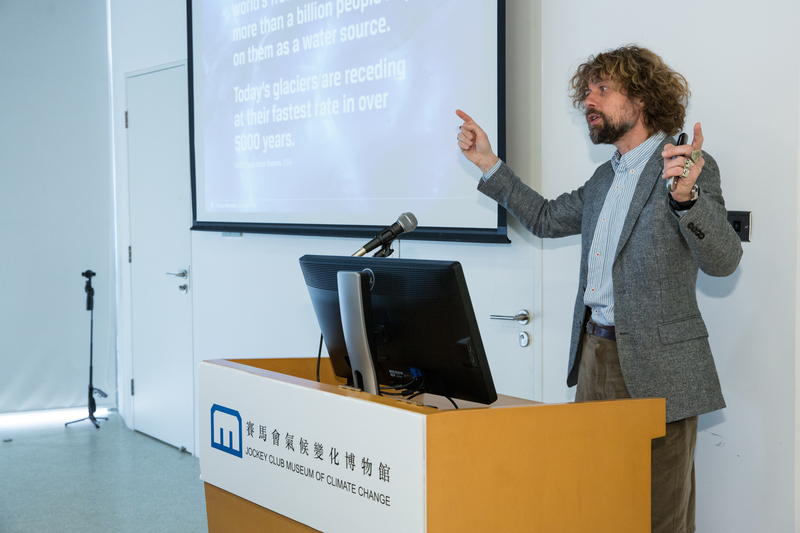 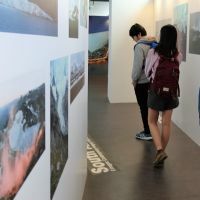 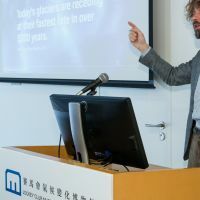 He also thanked the Hong Kong Observatory for providing the latest information about rising sea levels and an evaluation of storm risks in an effort to connect the theme of the exhibition with the environmental risks faced by Hong Kong. 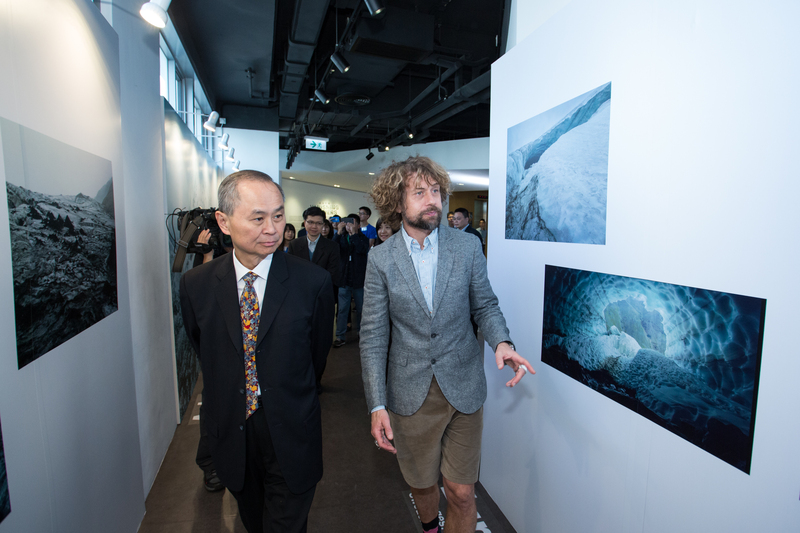 At the ceremony, Mr Klaus Thymann gave a talk on ‘Using Art to Communicate Climate Change’, and exchanged ideas with teachers and students from various tertiary institutions, secondary schools and educational organisations.